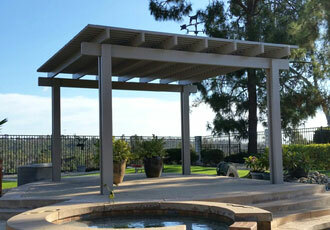 Aluminum City has been San Diego's leading choice for custom-made patio covers since 1963. 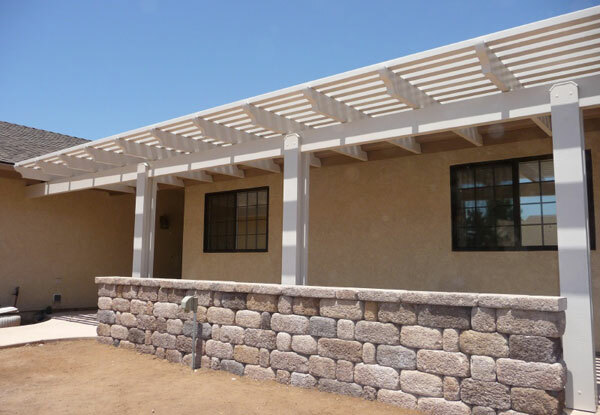 We are a locally owned awning company that has served residential and commercial clients in San Diego, Escondido, Chula Vista, Poway, El Cajon, San Marcos & Oceanside, and surrounding areas for over 50 years. 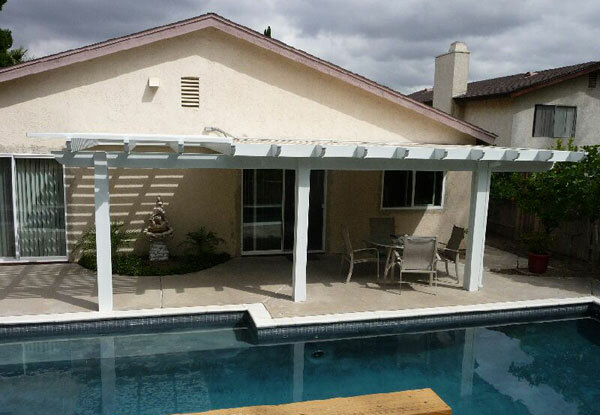 Our clients trust us because we have built a reputation for installing superior quality patio covers at very competitive prices with an unparalleled level of dedication to customer satisfaction. 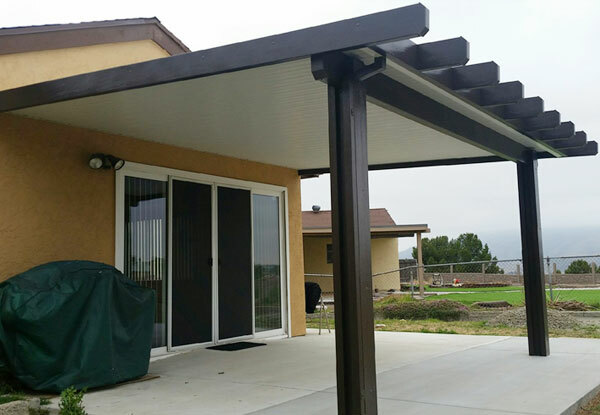 Property owners typically choose our patio covers because they look stylish; will never rust, warp, rot, peel, or flake; are highly effective at dissipating heat; and are virtually maintenance free. 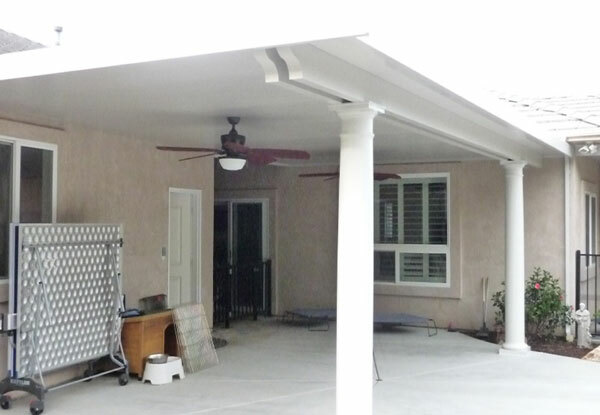 In fact, even after 40 years of exposure to the elements, patio covers have been known to look and function the same as they did when they were first installed. 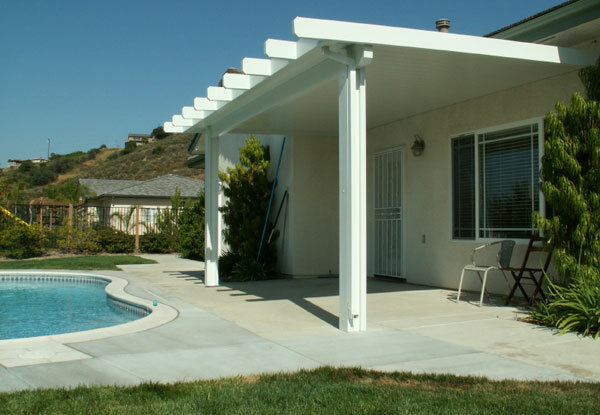 At Aluminum City, we only offer patio covers produced by Four Seasons Building Products because we believe they offer our clients the best return on their investment. Not only are their patio covers made of a thicker aluminum than those made by competitors, but they're also the only ones to bake on a primer before paint is applied. 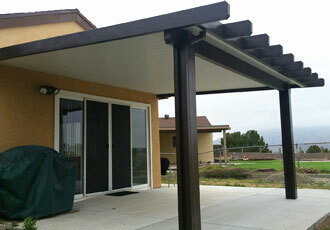 The result is a patio cover that is longer lasting and more durable than any others on the market today. 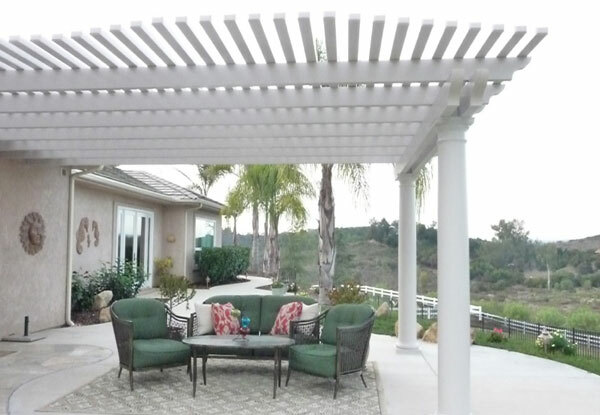 To show how much they believe in their products, Four Seasons Building Products backs all of their patio covers with a Lifetime Limited Warranty. 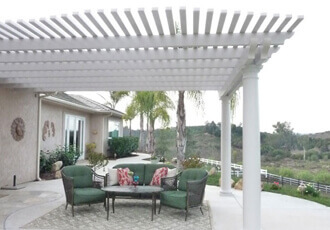 Choose a custom patio cover with a lattice top, solid top, or a combination of both, or have one of our experts help you determine which patio cover style best suits your needs and complements your property. 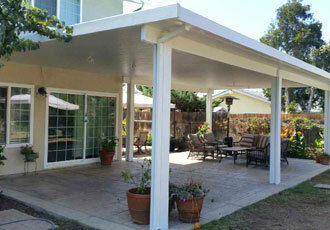 All of our patio covers can be freestanding or attached, and built to nearly any size. They come in either a smooth- or wood-grain texture, one of six colors, and one of four different end cuts (scallop, corbel, miter, or bevel). 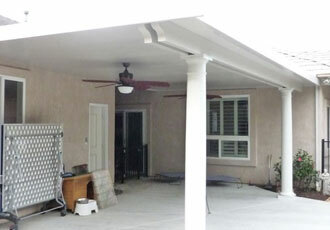 They can also incorporate electricity to facilitate the addition of ceiling fans and/or lighting. 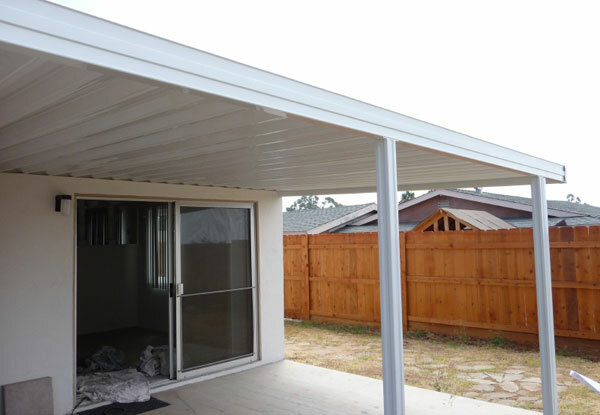 For those interested in converting their patio cover into a California room, we have insulated patio covers that are made with two layers of three-inch-thick polystyrene foam. 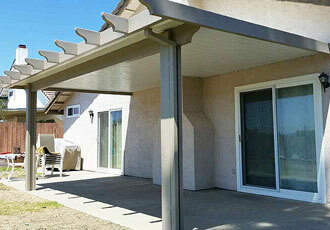 Rely on Aluminum City to help you get the patio cover you need for your home or business in San Diego. We provide all clients with free on-site consultations, and we are open Monday through Sunday from 7:00AM to 10:00PM. 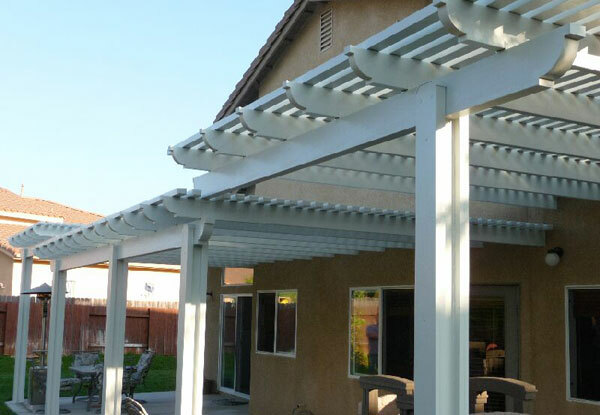 Call us at (619) 562-1652, so we can supply your San Diego residence or business with a well-crafted, affordable, and attractive patio cover. Aluminum City is fully licensed and insured.